A study in Daniel 10 from our Midweek Service at Harvest Fellowship. A study in Daniel 9:24-27 from our Midweek Service at Harvest Fellowship. 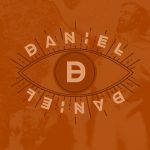 A study in Daniel 9:1-23 from our Midweek Service at Harvest Fellowship. A study in Daniel 8 from our Midweek Service at Harvest Fellowship. A study in Daniel 7 from our Midweek Service at Harvest Fellowship. A study in Daniel 6 from our Midweek Service with Pastor Paul Mowery. A study in Daniel 5 from Harvest Fellowship's Midweek Service with Pastor Paul Mowery.